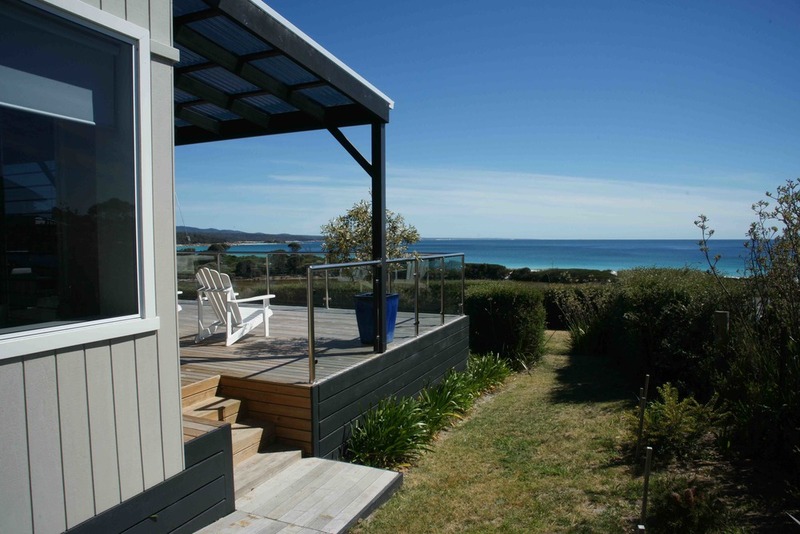 A truly unique Tasmanian beach house experience. Within an easy 10-minute drive from the east coast’s largest town, St Helens, Binalong Bay is the perfect place to unwind and forget about the outside world as time beats to a different drum here. 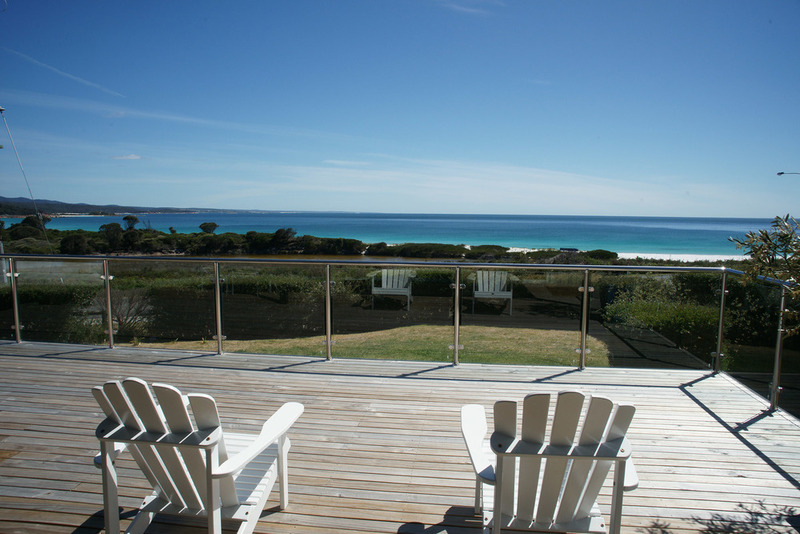 Belle Vue Beach House is perfectly located on the front row opposite the magnificent Binalong Bay beach and offers guests stunning, uninterrupted views of the Bay Of Fires. Belle Vue Beach House is positioned perfectly opposite the main Binalong Bay swimming beach to offer you quality interior furnishings and finishes to make your stay relaxing and enjoyable. The outside deck offers substantial opportunity for entertaining and relaxing while taking in all the bay has to offer. Some treats may catch you by surprise. Such as large pods of dolphins, 40 or more, accompanied by seals, coming within metres of the shoreline in their pursuit of a feed of the ever present ‘blackback’ salmon. Humpback Whales can be watched right from the deck on their migrations north and south, generally hanging around and playing for days on end. 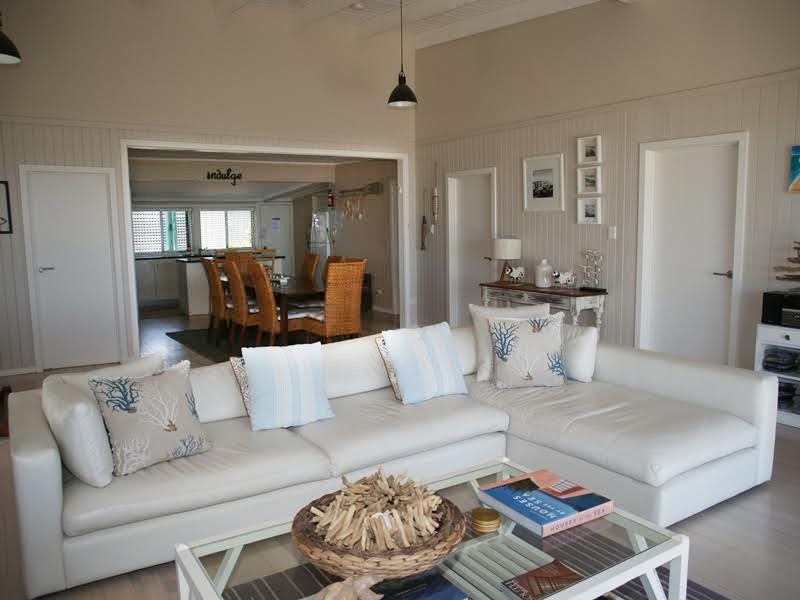 Belle Vue Beach House has recently been renovated, with a contemporary modern edge, but maintains that cosy, intimate, beachy feel. Offering 3 bedrooms, 2 bathrooms (1 outside with laundry facilities), one fabulous open plan living/dining area with a fully equipped kitchen for entertaining. If you can’t be bothered slaving over the bbq, head down to the Moresco Restaurant / Cafe. It’s only 150 metres from our doorstep. Includes TV, DVD, stereo system with iPod connection, BBQ and all kitchen/cooking utensils. Alternatively, try your hand at our authentic Italian wood fired pizza oven, which also creates some fantastic roasting options for the budding chefs amongst you! The 3 bedrooms offer 2 queen and 2 single beds. All new appliances and equipment, including bedding and linen. The Beach House comfortably sleeps a maximum of 6 people. We thoroughly loved our stay at Belle Vue House. It is picture perfect. Every thing is there to create a relaxed holiday by the beach. Great beds and amenities. Just needed a longer stay than what we could fit in.